Yes, the summer is there, and therefore the open air cinema season has officially started!!! Berlin knows a lot of nice open air cinemas. 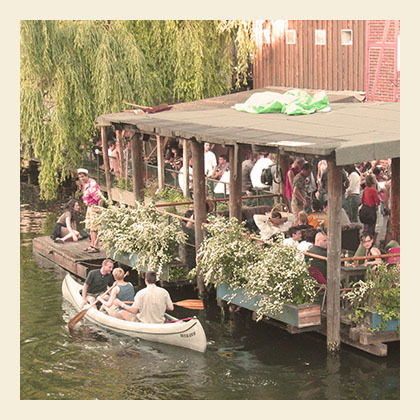 We would like to introduce to you the open air cinema in Berlin Kreuzberg. Cool thing about this cinema is that they often show movies in the original language, with english subtitles, or in english and with german subs! In 2011 there will again be a daily changing program with highlights from the current cinema season as well as classic and cult movies. With films from countries as diverse as Japan, Norway, Israel, Palestine or Spain this cinema aims to present true world cinema and where possible they will present foreign films in original versions with German subtitles and German films with English subtitles. We have the programm for the next couple of weeks. Enjoy. Network-Revolution with Jesse Eisenberg und Justin Timberlake. Steven Segal, Don Johnson, Jessica Alba und Lindsay Lohan. If you need help with getting there, just come ask us at the reception! If you are looking for a nice and cheap stay, come stay at our cozy little hostel :)!